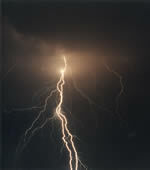 Automobile lights seem to head in and out of a bolt of lightning in the northern Antelope Valley near Palmdale, California. 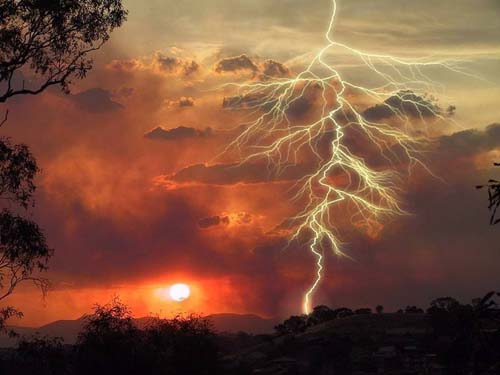 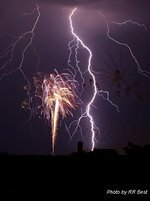 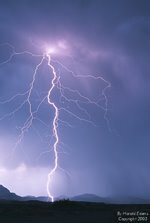 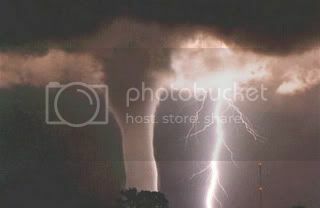 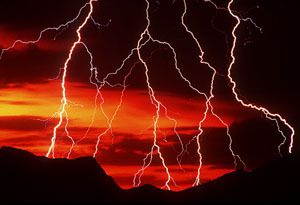 The lightning ignited numerous small fires. Intense cloud-to-ground lightning was caught using time-lapse photography during a nighttime thunderstorm. 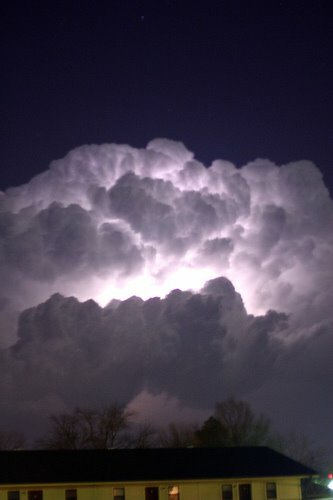 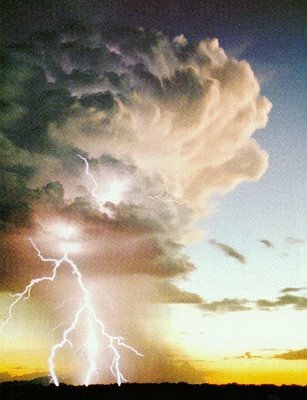 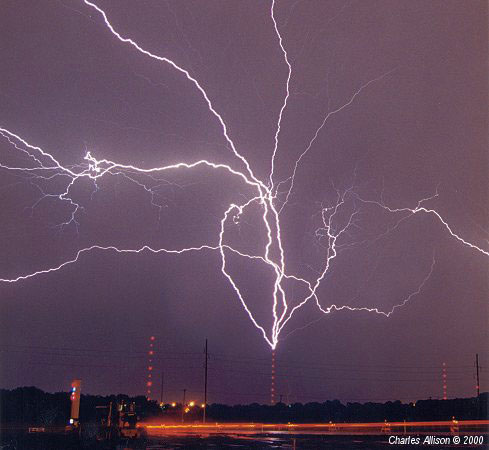 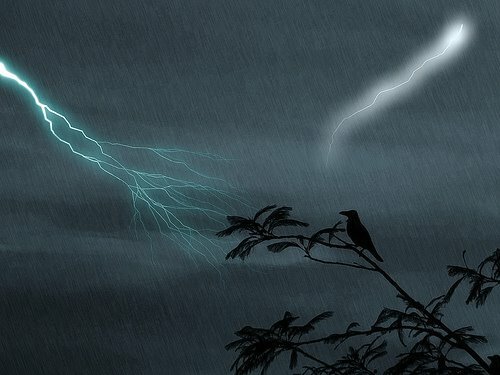 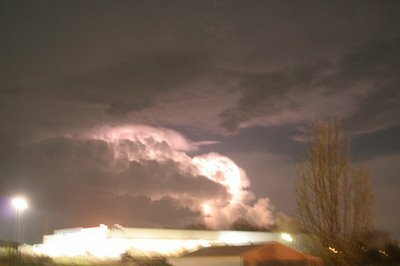 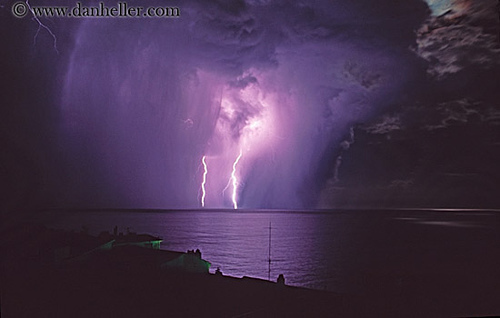 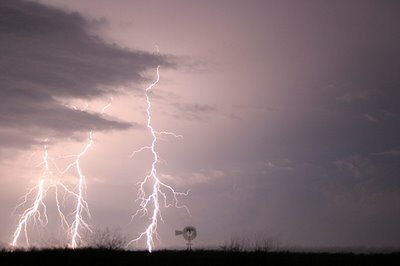 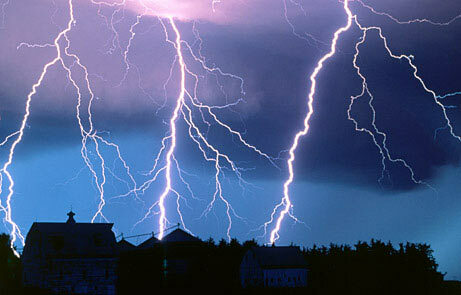 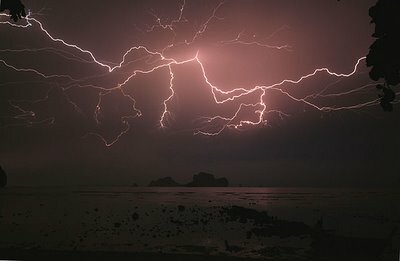 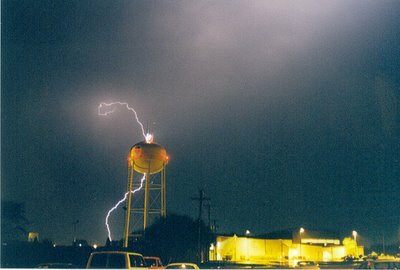 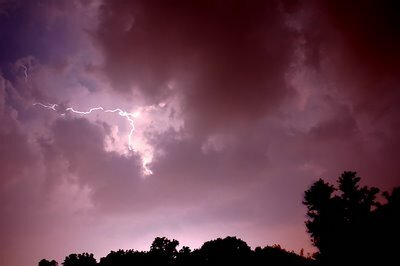 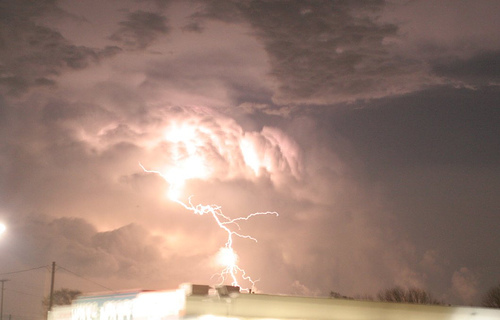 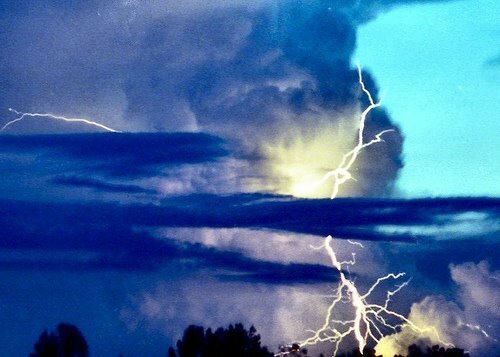 Shown above are multiple cloud-to-ground and cloud-to-cloud lightning strokes, during a nighttime thunderstorm. 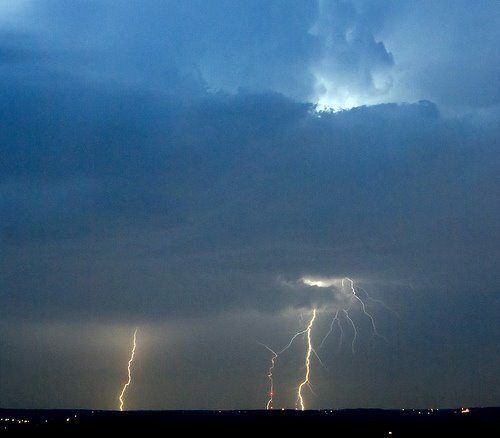 Time-lapse photography captures cloud-to-ground lightning during a nighttime thunderstorm in Norman, Oklahoma - home of the NSSL. 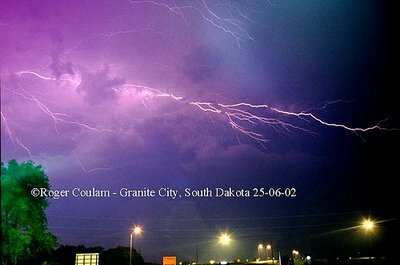 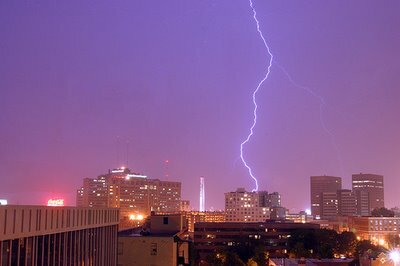 Lightning strikes over the purple city skies of Oklahoma. 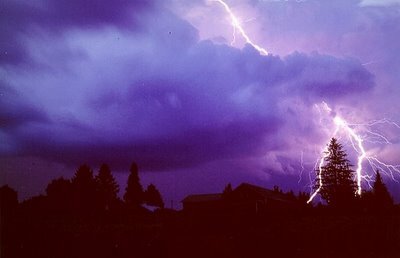 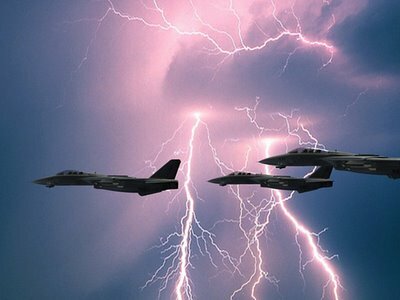 A powerful electrical storm created an eerie tapestry of light in the skies, at the Kennedy Space Center and Cape Canaveral Air Force Station, near Complex 39A in the hours preceding the launch of STS-8. 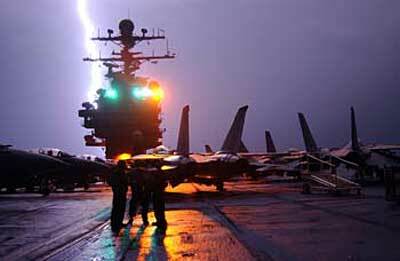 Lightening Strike on Carrier - Can you imagine the reaction of the three men in the foreground 5 seconds later? 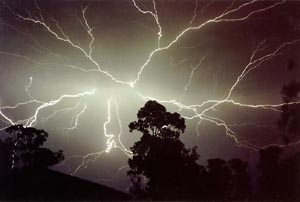 Or the crew in the superstructure? 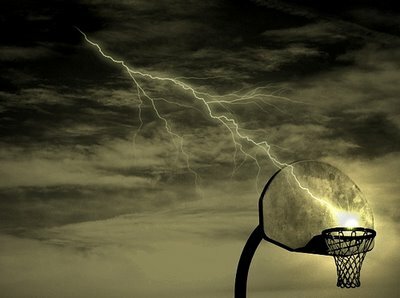 Undoubtedly they got a rush. 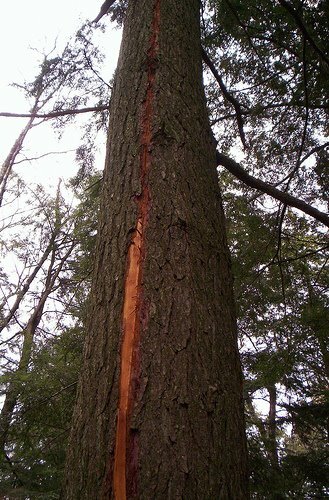 A testament to the power of the bolt: A tree riven from top to bottom with a single strike. This photo captures cloud-to-ground lightning in stunning and dramatic form. 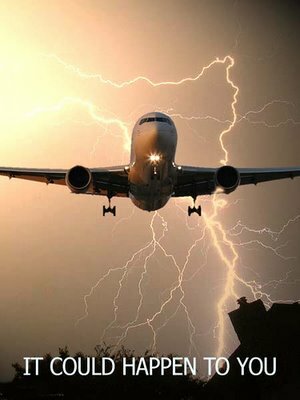 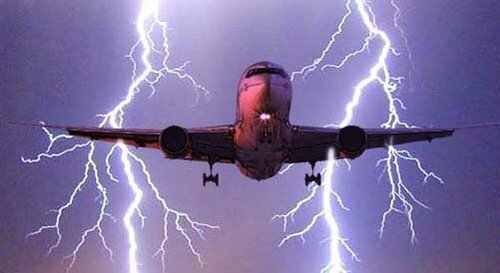 Observe in photo below, plane in center struck by bolt. 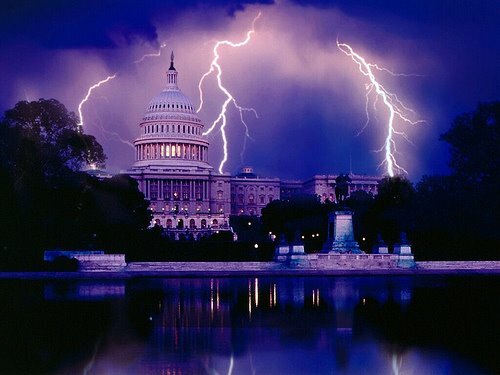 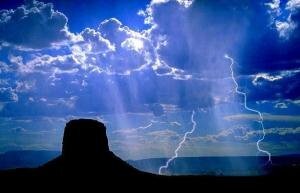 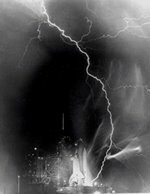 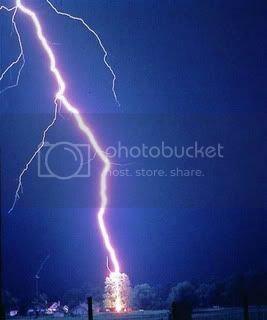 Lightning strikes a tower and outcomes a beautiful display of electric charge in the night sky. Fantastic display of lightning as it streaks through the evening skies.